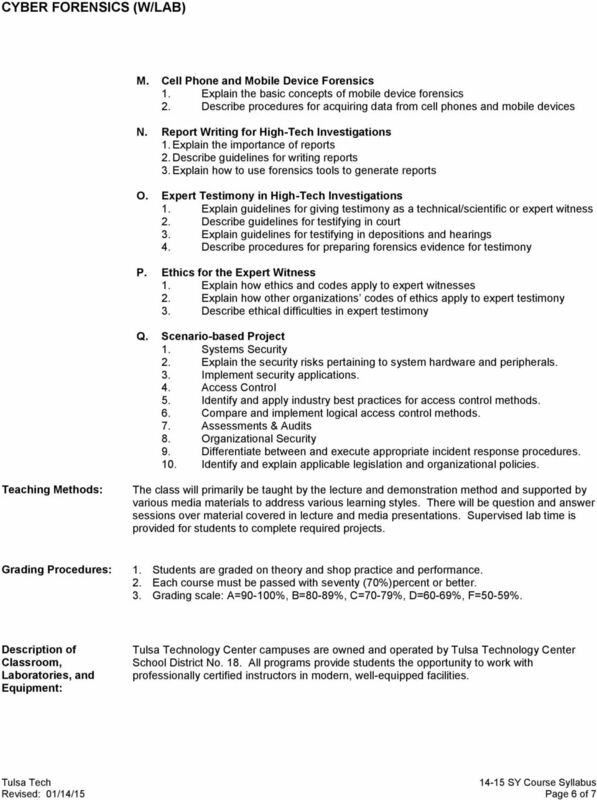 Download "CYBER FORENSICS (W/LAB) Course Syllabus"
EC-Council Ethical Hacking and Countermeasures Description This class will immerse the students into an interactive environment where they will be shown how to scan, test, hack and secure their own systems. 2! Bit-stream copy. Acquisition and Tools. Planning Your Investigation. Understanding Bit-Stream Copies. Bit-stream Copies (contd. 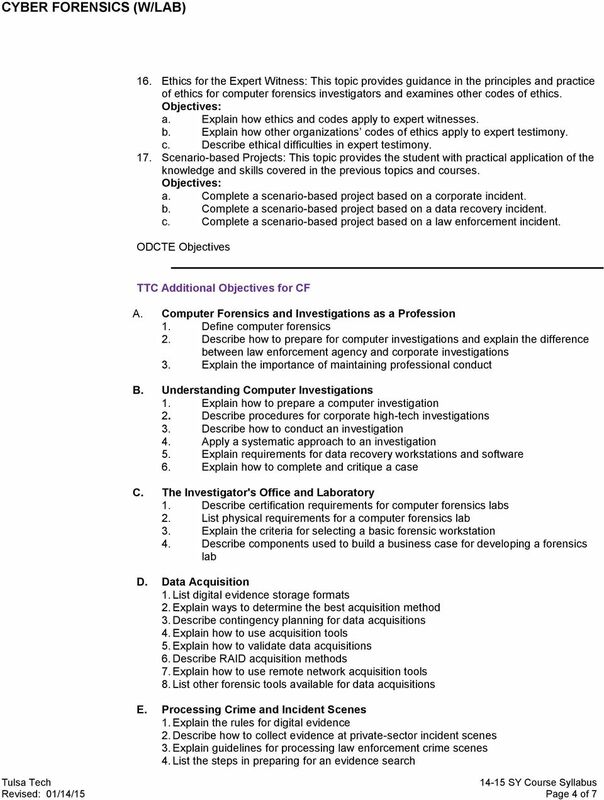 Acquisition and Tools COMP 2555: Principles of Computer Forensics Autumn 2014 http://www.cs.du.edu/2555 1 Planning Your Investigation! 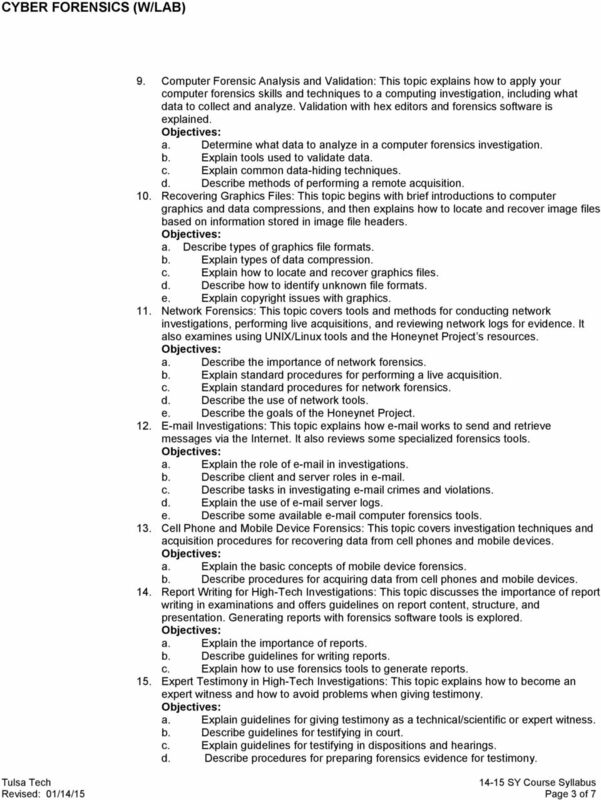 A basic investigation plan should include the following activities:! 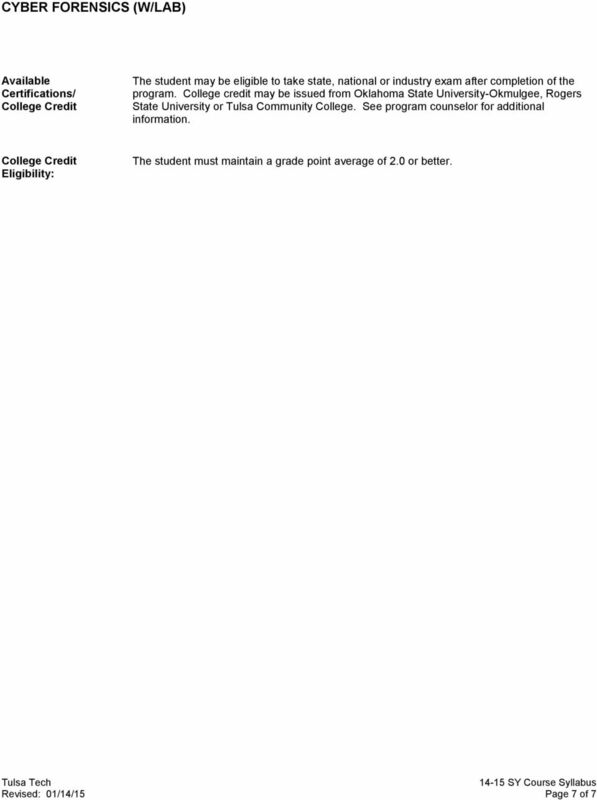 Technology Department Computer Forensics CMP 250-D01 Syllabus: Spring 2015 Professor: Curtis Satterfield Office Hours: Monday 3:00 5:00 PM, Tuesday 3:00 5:00 PM, Wednesday 12:00p 1:00p or by appointment. 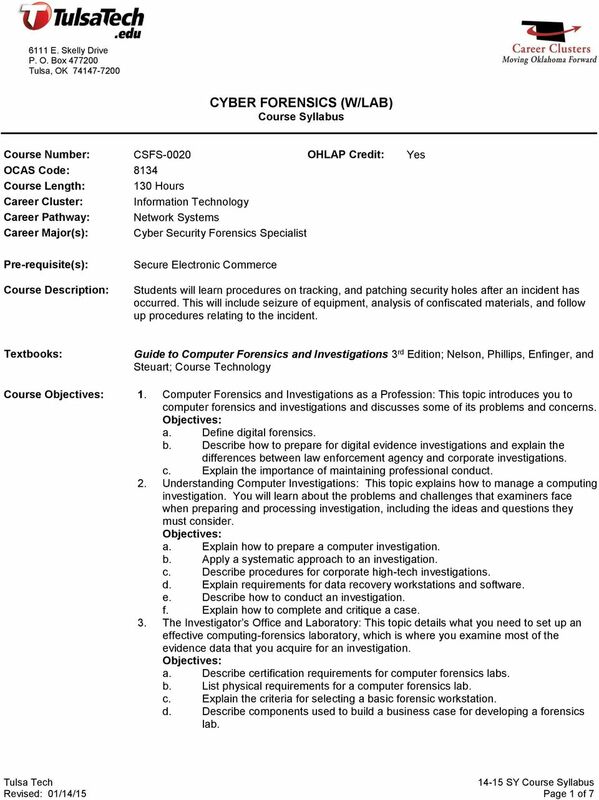 Of the programs offered by IACIS, the Basic Computer Forensic Examiner (BCFE) Training Program is at the forefront.